USB Cable Reel bulk buy branded gifts. 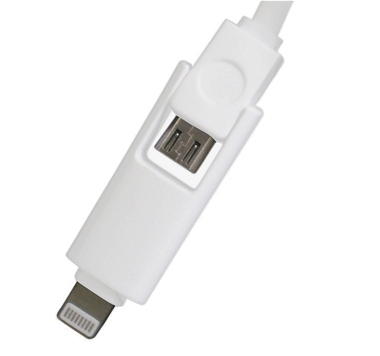 Guide: Promotional USB Cable prices. 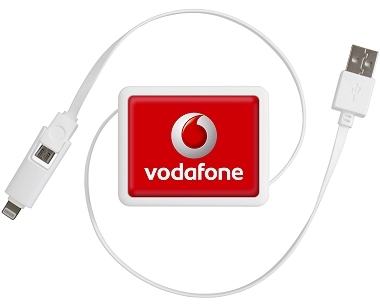 A 1.75 metre windable reel USB charging cable with Lightning and micro USB connectors at one end and USB at the other decal logo printed as a promotional gift. Full colour print with FREE setup. Available in 7 days from UK stock. Premium quality products at economical prices. Please see our Cable Tidies section for our selection of these handy low cost promo giveaways displaying your logo.